Lt. Gov. Spencer Cox speaks at the announcement of the 10 finalists of the American Dream Ideas Challenge. 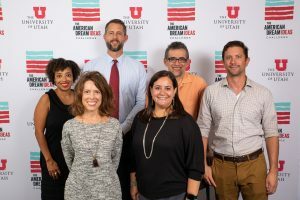 The 10 proposals selected as finalists in the American Dream Ideas Challenge range from helping single parents save money through shared living arrangements and child care to boosting opportunities for freelance workers in the state’s rural areas. 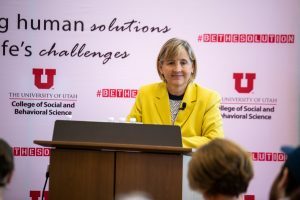 University of Utah President Ruth Watkins and Lt. Gov. 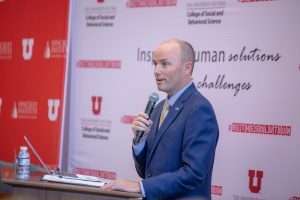 Spencer Cox announced the finalists at a panel discussion Wednesday on why a vibrant middle class is critical for Utah—and the U.S.—to prosper. 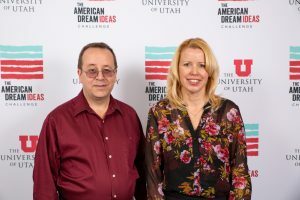 In all, the challenge received 152 proposals from across the state offering a broad array of approaches and ideas for how to boost prosperity in Utah. The challenge required each idea to have the potential to increase net income by 10 percent for 10,000 middle-class households in Utah by the end of 2020. 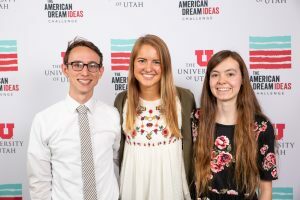 Design and implement a community hub in one of Salt Lake City’s westside communities as part of a public-private housing development to connect residents to innovative educational and career pathways. 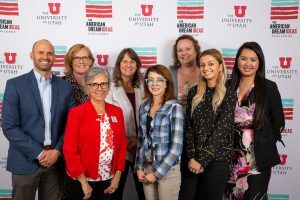 Expand employment and services for adults on the autism spectrum through a platform that connects them with employers, focuses on raising the income of these newly hired employees and supports families in transitioning youth with autism to the workforce. 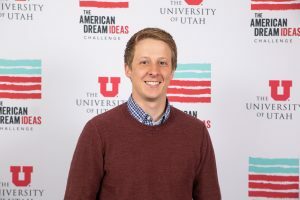 Create a “strike team” to work with community leaders to pursue a five-pronged policy platform in Utah’s rural coal country, focusing on Emery and Carbon counties, to address problems (such as the opioid crisis) and promote opportunities in health care, tourism, employment and economic development training, technology and housing. Develop in-demand digital skills for educators, entrepreneurs and early career professionals. 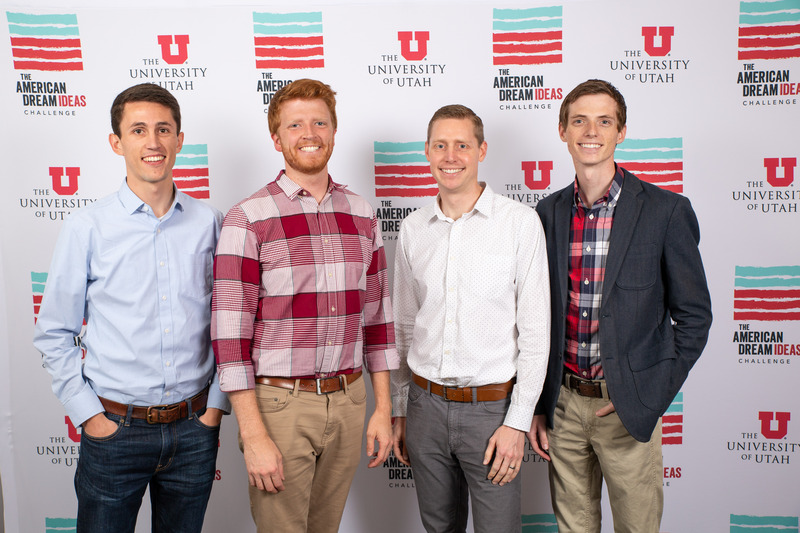 DASH, which stands for Design, Arts, Social Sciences and Humanities, aims to help participants build skills and earn verified credentials that support relevant, sustainable careers in Utah’s classrooms and high-tech economy. 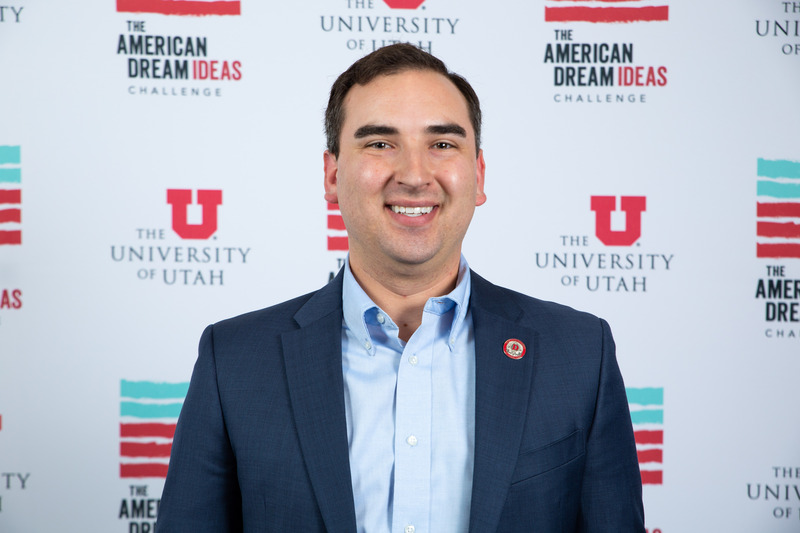 Develop an app that creates a new culture of saving money by helping individuals and families restructure payments to get out of debt faster and make smarter financial decisions. 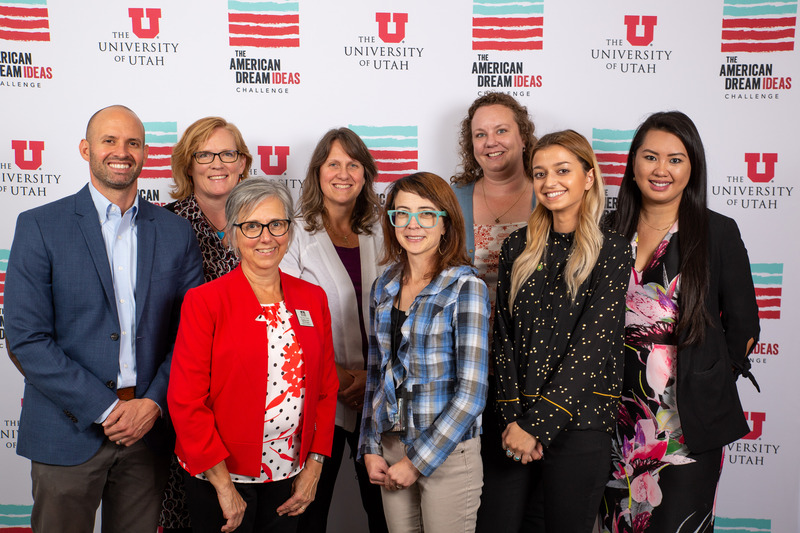 Increase gig-economy employment in rural Utah through education and outreach to enhance freelance worker success and expand freelance opportunity throughout rural southern Utah. 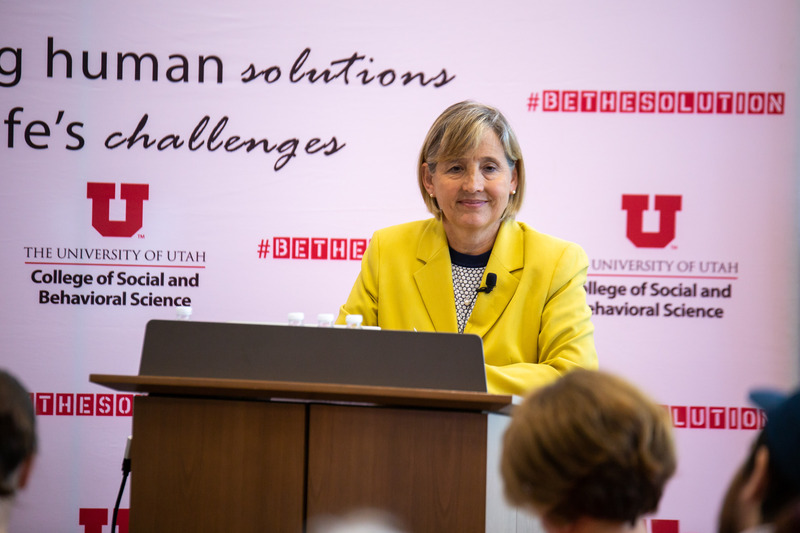 Through a partnership with regional health plans, implement medication value assessment, value-based insurance design and outcomes-based contracting to decrease health care premium costs. 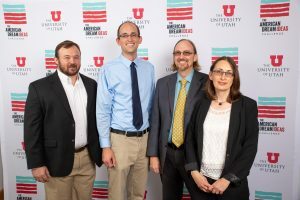 Save middle-class citizens significant transportation-related expenses through a new mobility-as-a-service pilot that encourages use of and integrates public transportation options—transit, ride-hailing, bike sharing, etc.—and reduces automobile ownership and use. Allow Utahns with unused space in their homes or apartments to rent their RV pads, basements, sheds, closets, attics, etc. 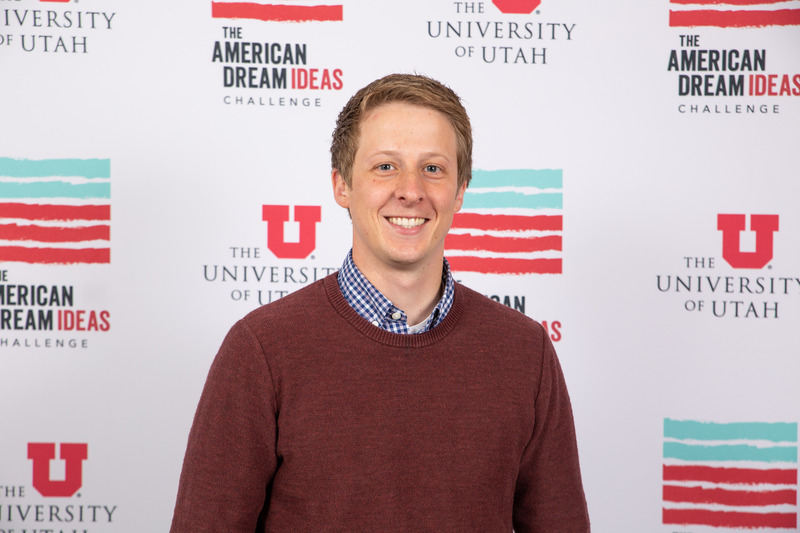 to other Utahns in need of self-storage, both reducing costs and providing income. Encourage shared living arrangements among single-parent families through the development of an app that matches interested parties, reducing living costs and, potentially, child care costs. Each of the finalists will receive $10,000 to further develop their proposal. 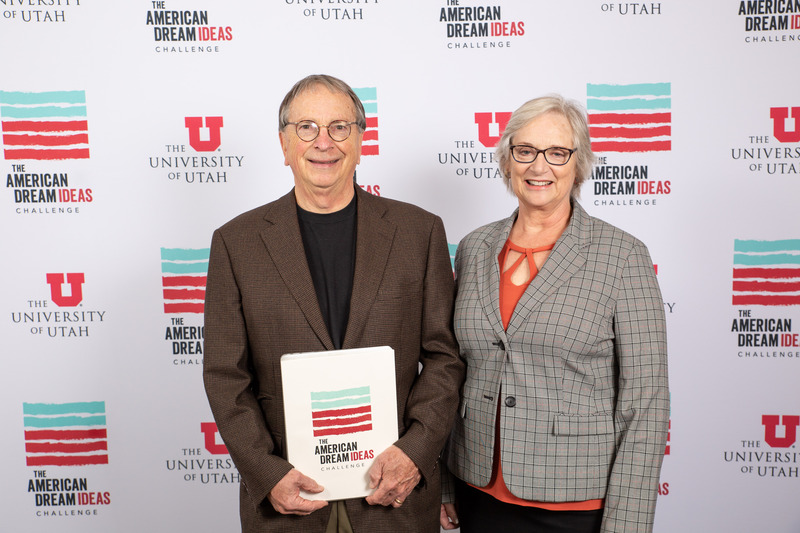 In November, an advisory board led by Watkins and Cox will select the three best ideas from the 10 finalists. 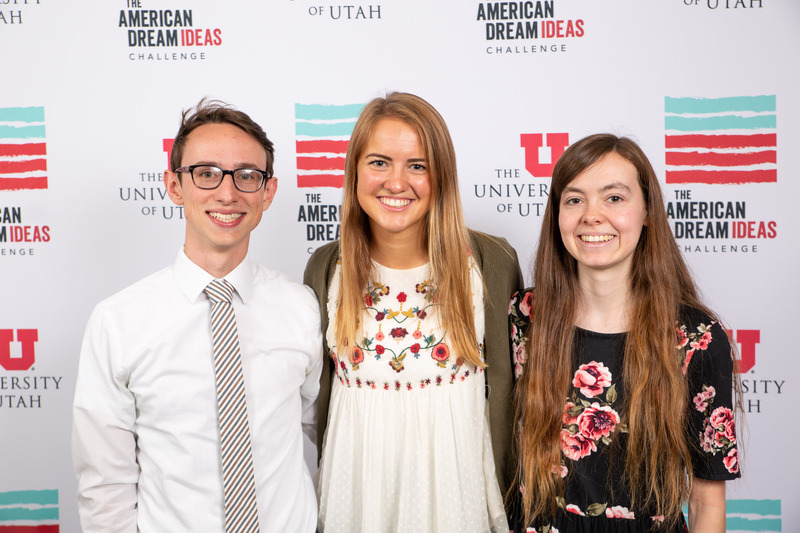 Each of those three teams will receive $30,000 to refine their idea and will be eligible to compete at the national level for up to $1 million from the Alliance for the American Dream. 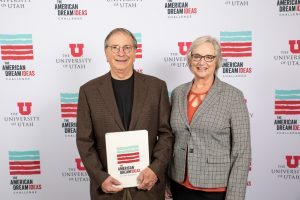 The Alliance for the American Dream is an initiative of Schmidt Futures launched in April 2018. 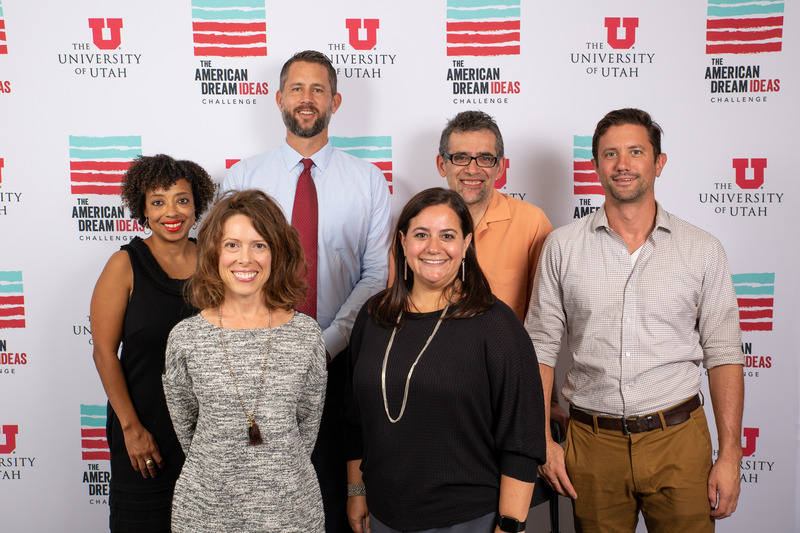 The alliance is a network of communities, each anchored by a public research university, that provides access to capital and access to market for new ideas to support distressed communities locally. 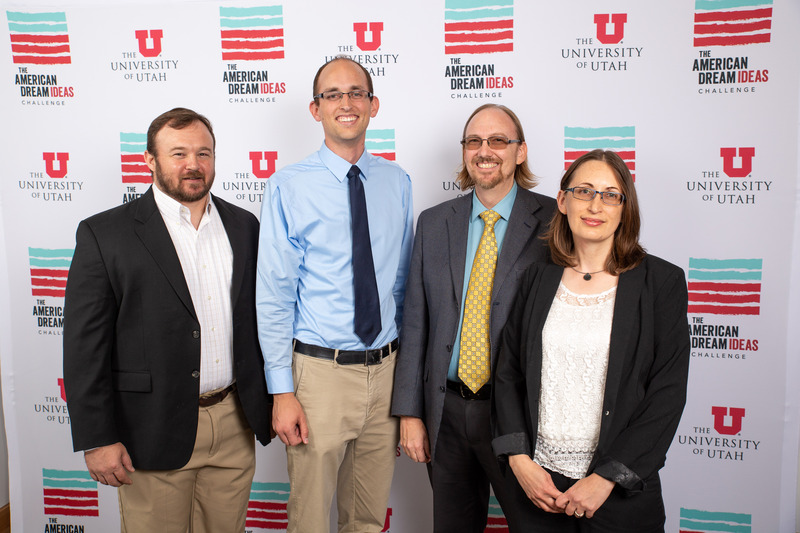 The four universities serving as inaugural partners are the University of Utah; the Ohio State University; Arizona State University; and the University of Wisconsin-Madison.